Dazzling dangle earrings are exactly what every girl wants! 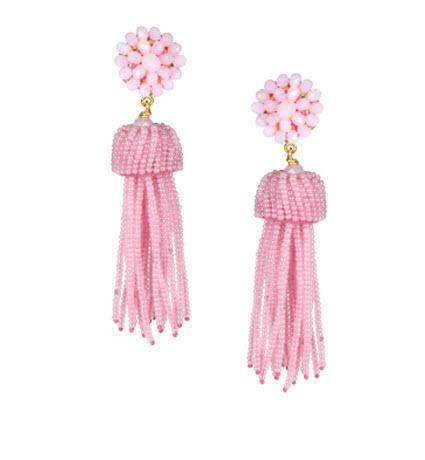 These gorgeous cotton candy tassel earrings are by our newest designer Lisi Lerch, who has been in fashion bogs and magazines. They are 3.5" length, 18 grams in weight, nickel and lead free, made with tiny beautiful glass beads that create multiple tassels off of a circle beaded post. You choose from pierced or clip on posts. 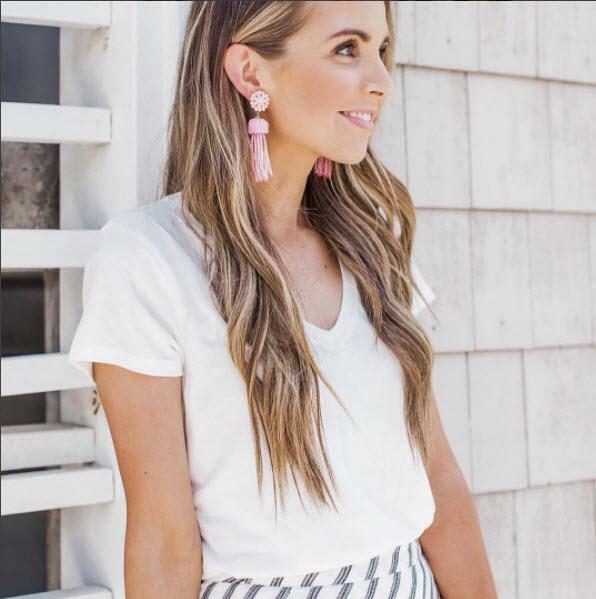 Make a great statement with this great piece of high end quality jewelry that is great for parties or just to add some pop to your everyday look!